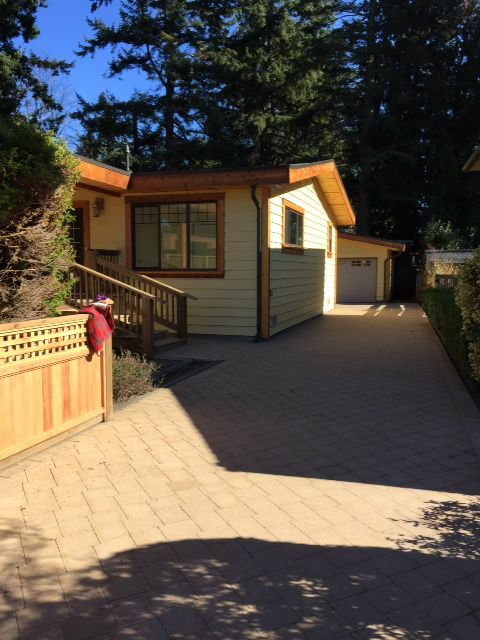 This truly charming 3 bdrm rancher is currently completely under renovation by quality builder Nesseler construction & will be finished within the next 3 months... Fantastic location within beach Grove on every so popular Enderby Ave this house packs a lot of punch. Renovated inside & out when completed it will offer you open living concept w/ custom kitchen, 3 bdrms w/ 2 full baths & a completely new heating system, windows etc. new generous deck in backyard w/ bonus: large detached double car garage or fantastic workshop for the hobbiest... perfect for car collectors...Stone fire place in living room & cozy porch on front door; super solid home w/ lovely wood siding... it will be complete eye candy when finished, start your inquiries now.